We are required to publish the results on our own website and a government website. We will do this within one calendar year of 5 April each year. Our employee demographic is consistent with the rest our sector which has been historically male dominated; our gender split is 88:12 male to female. 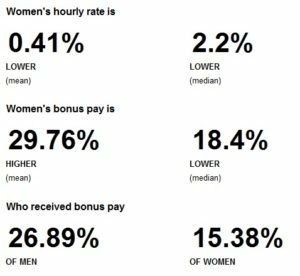 We are pleased that our pay strategy continues to mean we have a small gender pay gap, which since 2017 has reduced further to 0.41% which we believe reflects that men and women are paid equal amounts for doing equivalent jobs across our business. This positively compares to the UK average of 18.1%. We are committed to building a diverse workplace that gives equal opportunities to all employees. 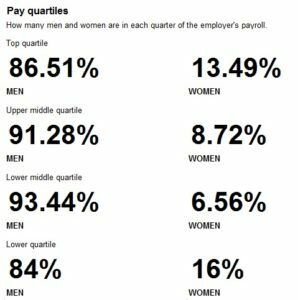 In continuing our support for reducing the gender pay gap, we will look to increase gender diversity within our company, identifying ways of making our sector look more attractive to women by analysing progression routes. This information is correct as at the time of publishing.